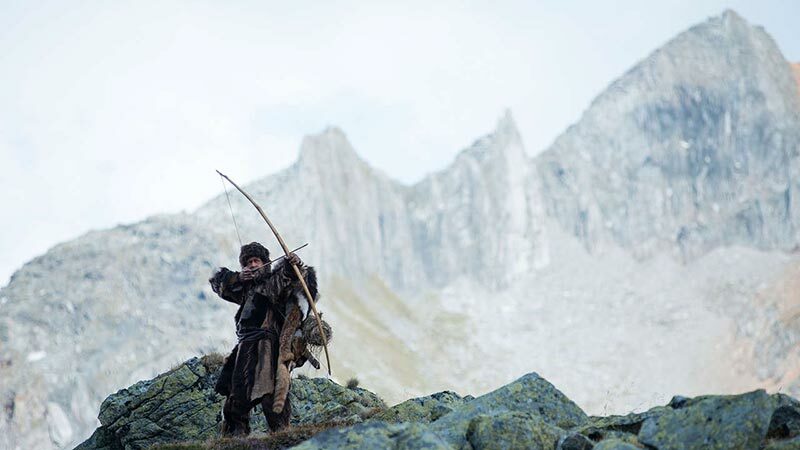 The death of Ötzi the Iceman is not a complete mystery. The arrowhead that shattered his scapula definitely constitutes a clue. Since he clearly did not die of natural causes, it rather makes sense that rumors of a curse would surround his well-preserved 5,300-year-old corpse. Most mummies have them. The mysterious man from the Copper Age finally gets a fictionalized backstory in Felix Randau’s Iceman, which opens today in New York. As a mummy, he was dubbed Ötzi, but to his people, he was a clan leader named Kelab. Iceman is sort of like a Mel Gibson movie, because Kelab and his contemporaries speak an early forerunner of the Rhaetic language, but nobody bothered to translate subtitles. It is assumed viewers can pick up everything they need from the dramatic context, as indeed they should. Life is already hard for Kelab, especially after the small clan’s other woman dies in childbirth, but he and his mate are happy to adopt the surviving infant. Alas, things take a bitterly tragic turn when a rival tribe launches a sneak attack massacre, while Kelab is out hunting. Thanks to his biological son’s bravery, the newborn survives. Of course, Kelab will protect him at all costs, but he is even more interested in extracting some cold, snowy payback. As Kelab, Jürgen Vogel is a lean, wiry picture of survival. He is so tough and scrawny, even the saber-toothed tigers would not want to eat him. As usual, André Hennicke is cold and creepy as Krant, the leader of the raiding party. However, if you really want your mind blown, wait until Franco Nero pops up as a literal graybeard Kelab meets on the road, while tracking Krant and company. Basically, Randau’s Iceman is considerably better than the disappointing Donnie Yen franchise opener, but not as good as Fred Schepsi’s 1984 drama, featuring John Lone, in his breakout performance. It always looks great, thanks in large part to cinematographer Jakub Bejnarowicz, who truly gives the film a massive sense of scale. Despite the stop-and-go action, Randau also really taps into some deep primordial archetypes. 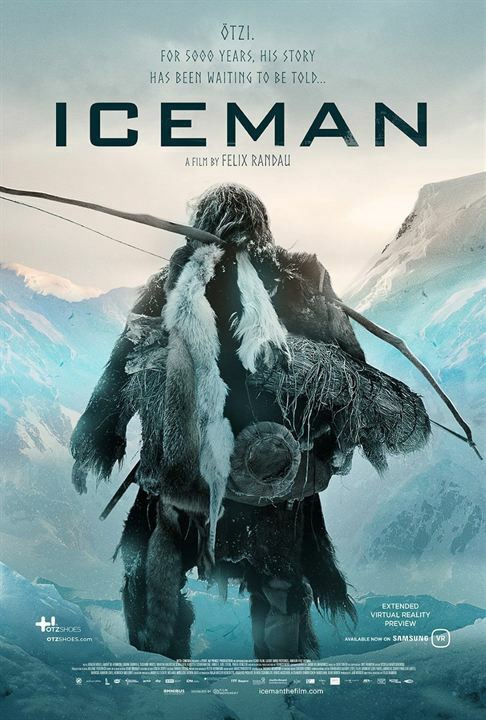 Recommended as a serious prehistoric revenge morality play, Iceman opens today (3/15) in New York, at the Cinema Village.